New Start is a Professional Finance Broking company that has been serving the general public, Car and Caravan Dealerships and Mortgage Brokers since 2002. Our highly experienced staff has over 50 years combined experience in Auto and Equipment Finance. It is this expertise that allows us to secure the best loan at the best rate for each and every client. In fact, it is our clients that have made us the success we are today, many referring their family and friends to our services. 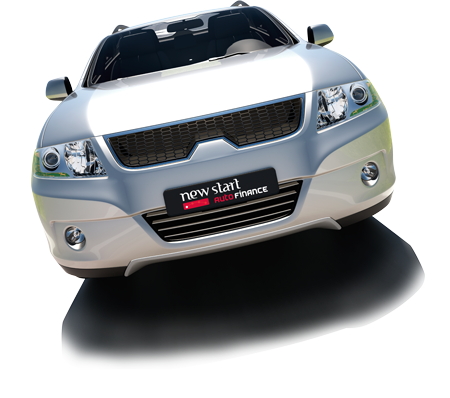 Why Choose New Start Auto Finance? Why not! We have no hidden fees, a fastidious attention to detail, and our proactive attitude will make your next Auto or Equipment Purchase easy. Combined 30 years experience in the Finance Business. Access to the largest range of lenders across Australia. Apply online or we can take your application over the phone. Our Lending Consultants make it easy by offering expert advice and will negotiate competitive finance deals with the major banks and lenders on your behalf. Cars, Caravans, Camper Trailers, Boats and Motorbikes for personal use. Commercial Vehicles and Equipment for Business Use. We make getting what you want….simple! Paperwork doesn’t have to be complicated when dealing with New Start, we are with you every step of the way to make it happen. We will assist in loan document signing all the way through to settlement. We can even arrange your insurance. Unique focus and understanding of the Auto, Leisure and Equipment Market. We can arrange your finance for Private Sales at low rates. You’re too good, Thanks Natasha. Thanks for your service its been great dealing with you and I will put you forward for any one looking at car finance/personal loans. I cannot recommend Luke and his team enough! We recently purchased a couple of business vehicles through Newstart Auto Finance. Couldn’t be more happy with the service, attention to detail and urgency displayed by our consultant Luke Manuel. He was efficient and informative and helped us every step of the way, and didn’t seem to mind we called 8 times a day! Thanks to Luke and the team at Newstart. Will absolutely be referring you guys to friends and family. I was dealing with Luke Manuel and he kept me in the loop with everything that was going on with the process of my loan and then with the delivery of the trailer. He was amazing! Just a quick note to say thank you for helping both my mate and I so promptly, greatly appreciated !!! Thanks to Luke also! I just spoke with Ray and he said you were very easy to deal with and Zoe said it was a very smooth process. Thanks for looking after them – will keep them coming. Finance is not his area of expertise and he said that you always made him feel comfortable… he will recommend anyone he possibly can to you for their car finance as he was very impressed indeed. Luke, from my perspective I thank you for looking after my client so well! If Ron was happy enough to make a specific phone call then I am also happy! Thanks again for your help – made my life easier as well. Good team effort which is as it should be. I’d like to acknowledge how great Natasha was with my last car loan. Between the Christmas and New Year period she personally delivered and picked up docs, dealt with the lender and got it funded within a few days. Luke was great to work with and very helpful, I have currently got my son to see Luke for finance for his first car. Very happy with my dealings with the staff in Perth. All my queries were addressed and the term and conditions of the loan explained to me. Friendly and courteous staff. Brilliant! Luke was fantastic and had everything sorted for us to purchase our new camper trailer in a matter of days compared to the bank…..who we were still waiting for an answer from 3 weeks later! Would definitely recommend New Start to anyone. Very impressed with the service. Natasha Paszyn was the person I dealt with and would recommend her services to others. Stress free fast process, was kept well informed. Luke was professional but very approachable, a great asset to the company. Luke was very efficient. His manner gave you confidence that he would try to help you as the customer. Thank you to Natasha. We are absolutely thrilled with our experience! Natasha was so professional and thorough from the onset. I certainly would not hesitate in recommending Newstart to others! I found Newstart to be very professional, well managed and friendly.